BlackBerry services have started to reboot across Europe, although not all functionality has been restored as yet. "From 6AM BST today, all services across Europe, the Middle East and Africa, as well as India, have been operating with significant improvement. We continue to monitor the situation 24/7 to ensure ongoing stability. Thank you for your patience." However, it seems that not all services are back up and running - while the likes of BBM messages and email are now flooding into people's inboxes, the internet servers are still down, meaning web access is denied for many. 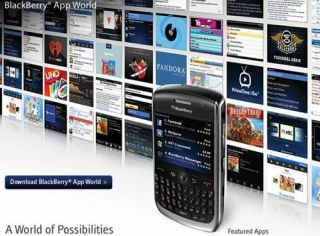 BlackBerry services are also still down in other parts of the world, with the US and Canada still suffering. It seems the problem can be traced back to a server issue in Slough, with the Guardian reporting that a database upgrade failed, and attempts to move to an older system led to the widespread outages, due the fact the UK headquarters handle a great deal of the server load across Europe and Asia. RIM has moved to stress that this is not a hack, but either way the Canadian brand will be hoping consumer confidence in BlackBerry won't have be irretrievably shaken over the last three days.